Here are some examples of salespeople allowing themselves to get put in a double armbar. Promising you can do something you have never done before without the support of your operations team. Not filling their pipeline and realizing this 1 week before the quarter is about to end. In 2007 you could still walk in and rent a movie at Blockbuster Video. Text messaging was gaining popularity and some people even paid over 7000% markup or $0.10 a message for the privilege . More common today in 2007 using text messages with customers and prospects was almost unheard of. 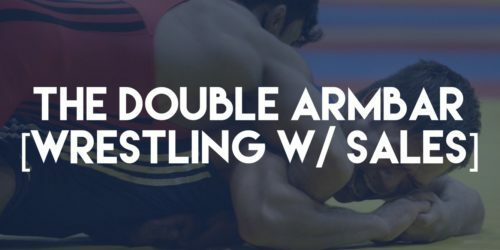 Knowing how much has changed and the additional resources we have as salespeople today is their really any reason we should allow ourselves to get put in a double armbar?